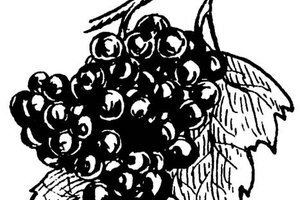 Using Welch's Grape Juice is often the first wine that a budding winemaker makes. 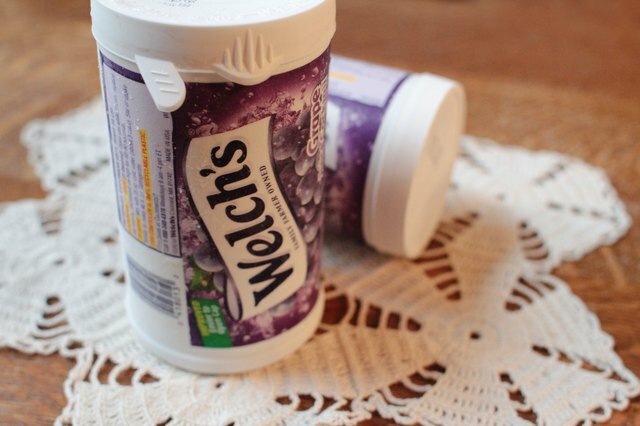 You can either buy Welch's Grape Juice in the bottle or you can purchase the 100 percent grape juice concentrate frozen and reconstitute it yourself. 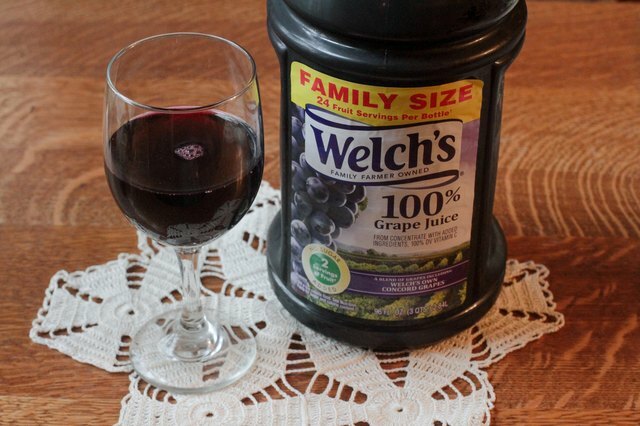 In fact, you can use any brand of grape juice, provided it is 100 percent juice. You can use either the white or the Concord grape version of the juice. Pour 1 1/2 cups of juice from the bottle. Save this for drinking. 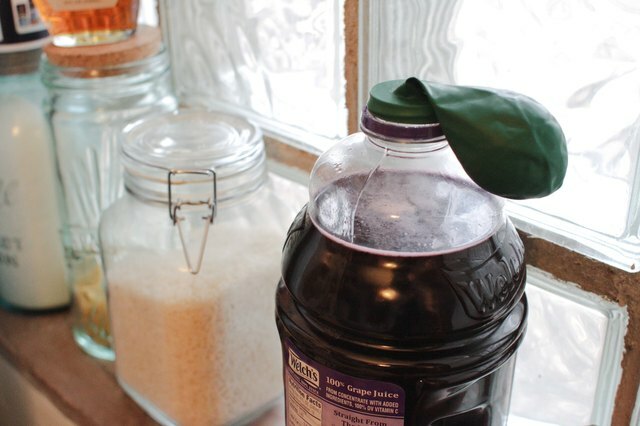 Pour 1 cup of sugar into the bottle using the funnel. Place the lid back on the bottle and shake until the sugar is dissolved into the juice. Add the wine yeast to the bottle. 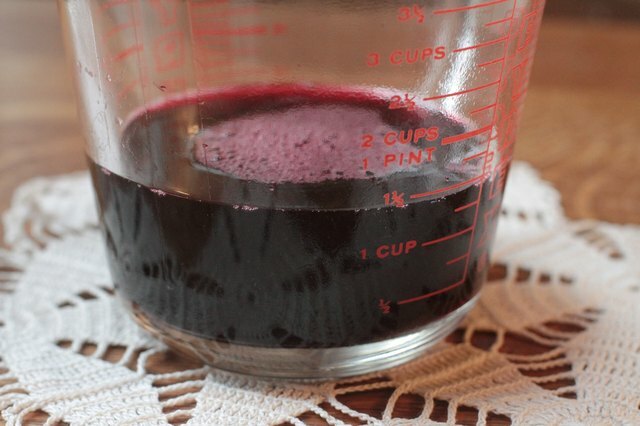 Use red wine yeast for Concord grape juice and white wine yeast for white grape juice. 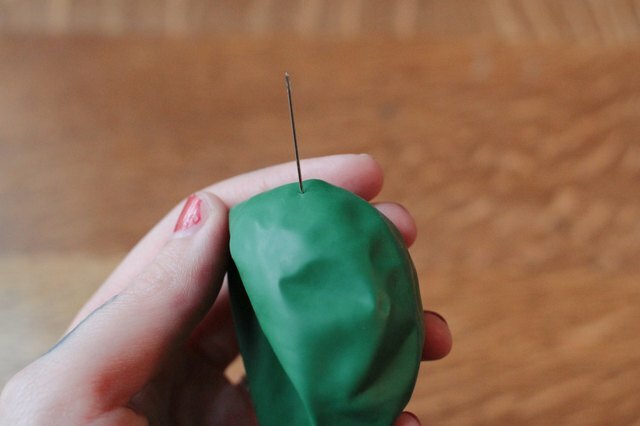 Use the needle to prick one or two holes in the top of the thick balloon. 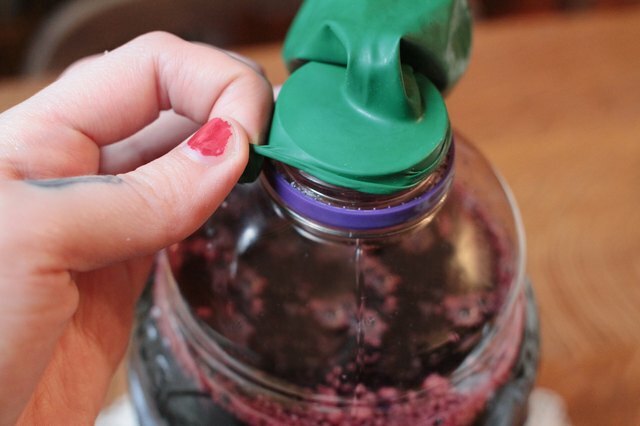 Secure the opening of the balloon over the top of the juice bottle. 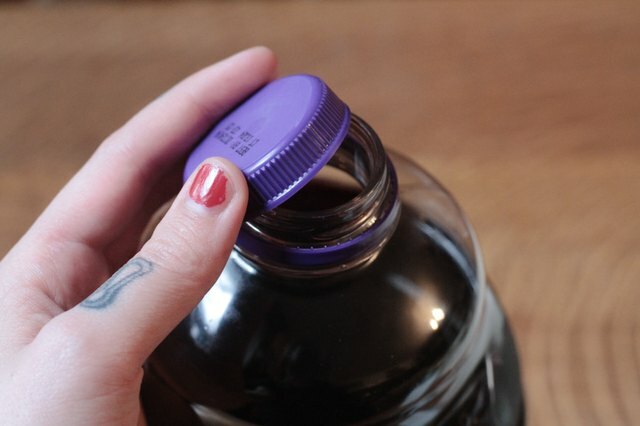 Place the juice bottle in an area that is warm and where it will remain undisturbed for at least 30 days. Check after 30 days to see if the balloon is still inflated. If the balloon has collapsed, the wine is done. If not, let the wine continue to ferment until the balloon deflates. 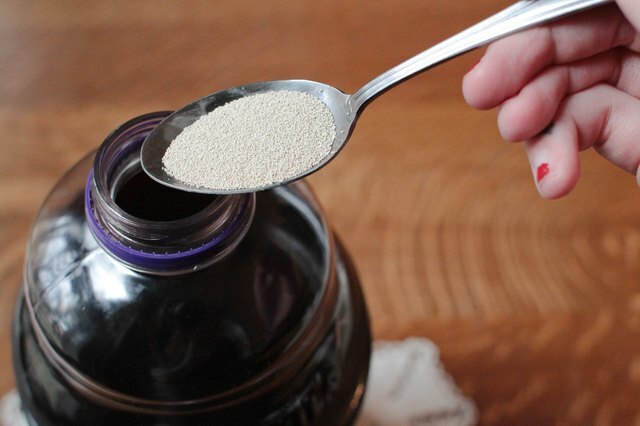 Thaw four 12-ounce cans of frozen concentrate and pour into a 1-gallon bottle or jug. Add 5 cans of water and 1 cup of sugar to the bottle. 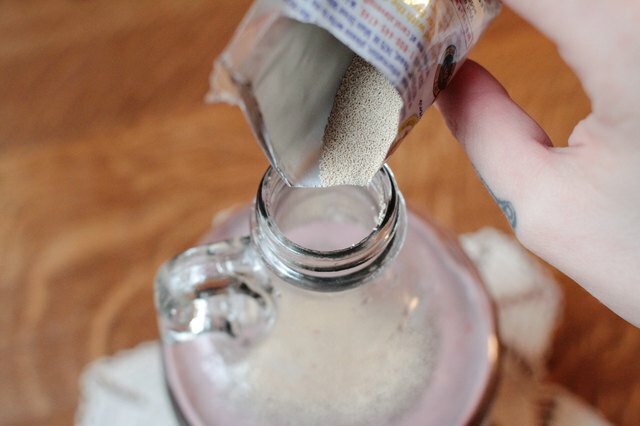 Replace the lid on the bottle and shake until the sugar is dissolved. Add 1 package of wine yeast. 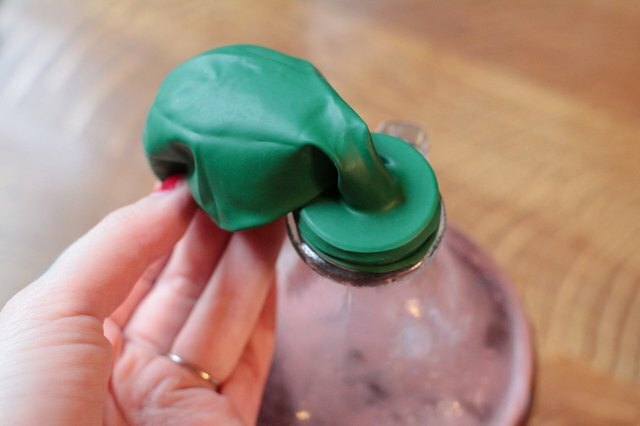 Secure the balloon of the top of the bottle. Allow the wine to ferment for 30 days. After 30 days, check to see if the balloon has collapsed. If the balloon is flat, the wine is done. If not, give the wine another three to seven days. 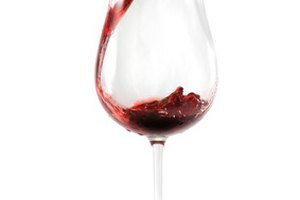 To make more than a gallon of wine at a time, double or triple all juice, sugar and water amounts, but only use a single package of wine yeast. 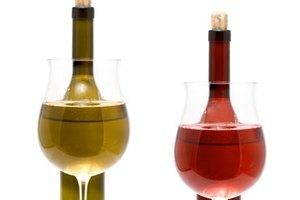 To make wine in larger batches, purchase a wine kit from your local brew shop or online. The kit will contain all the equipment you will need, i.e., a brewing vessel, an air lock and tubing to use as a siphon hose. The Foxfire Book of Wine Making, edited by Lori Gillespie, Kelly Shropshire and Allison Adams, E. P. Dutton, Copyright 1987 by the Foxfire Fund, Inc.